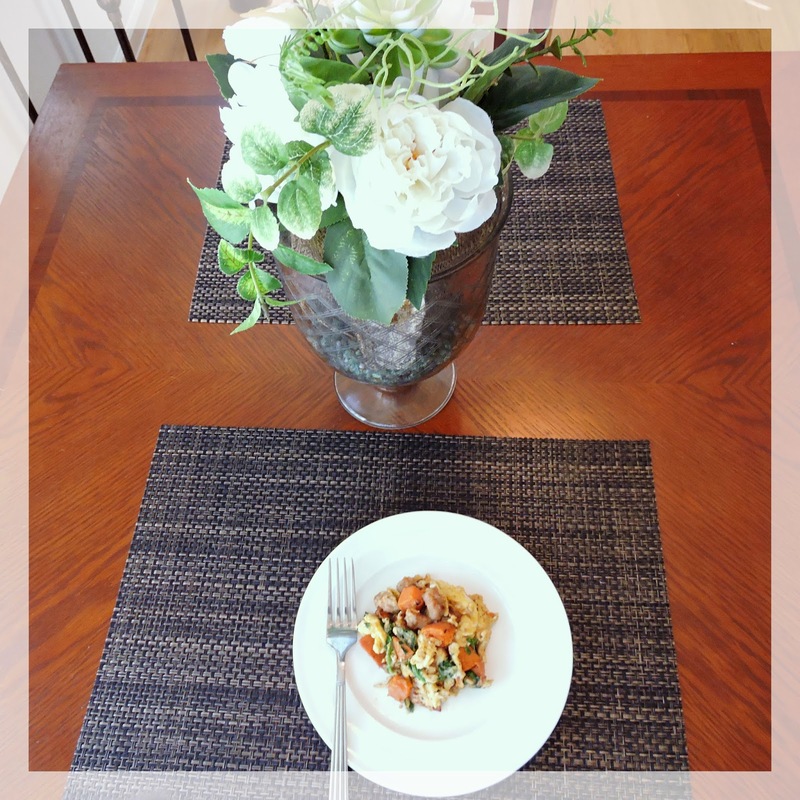 I love breakfast scrambles with all different flavor combinations~ but this has got to be one of my favorites. 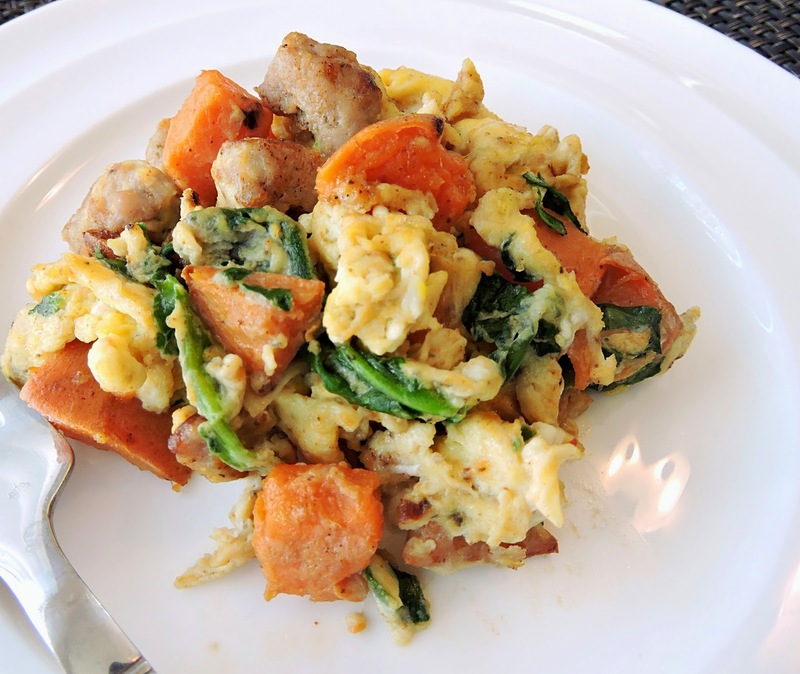 The combination of the super savory breakfast sausage, mixed with a bite of tender sweet potato has "warm, fall flavor" written all over it. To me, this makes the perfect Sunday morning breakfast. It fills up the house with amazing smells, and is hearty enough to keep everyone full until lunch. I love how the sweet potato makes it seem more indulgent & filling, while providing you with clean, healthy energy to fuel your day. Try this scramble served on its own, topped with hot sauce, or wrap it up in a Julian's Bakery Paleo Wrap to turn it into the perfect sweet & savory breakfast burrito. You can find the Paleo Wraps at Whole Foods or on Amazon.com~ check out my link on the right side of my blog to see them in my Amazon Store. 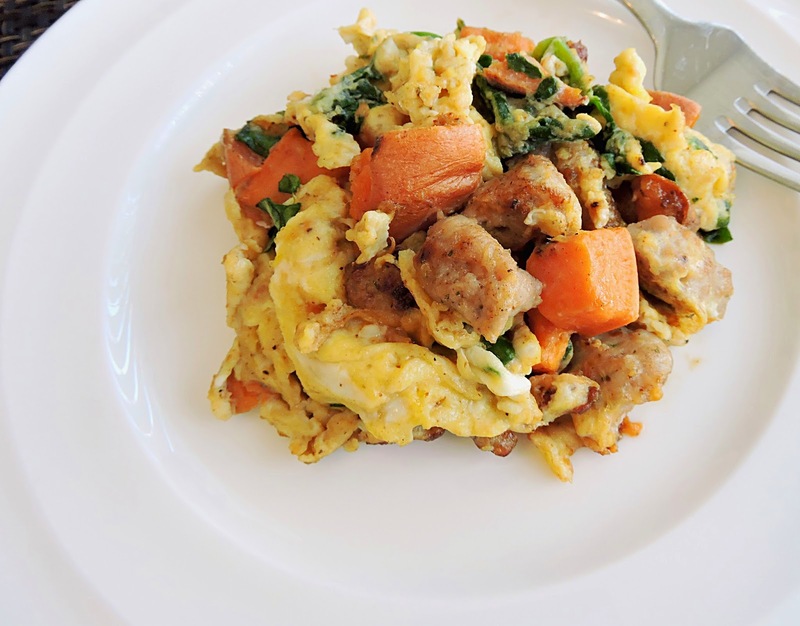 Oh, and don't forget to season your eggs~ the spices I use really tie everything together, and go perfectly with the sweet potato & sausage; creating a smoky flavor that is perfect for fall. Heat the sweet potato in the microwave for about 3 minutes, or until it is slightly softened. Cut it into cubes and set aside. In a large skillet, cook the breakfast sausage over medium high heat until it is broke up and browned throughout. Add the sweet potatoes, and sauté until they are lightly browned around the edges- about 2-3 minutes. Reduce the heat to medium, and use your rubber spatula or wooden spoon to move all of the sausage & sweet potato to the outside edges of the pan- leaving an empty circle in the middle. Fill the center with about a tablespoon of avocado oil (or cooking fat of choice), and pour in the seasoned eggs. Top with a handful of spinach, torn into pieces. Allow the eggs to cook on bottom for about 1 minute, then use your rubber spatula to continuously scrape the pan & fold the sausage/sweet potato mixture into the cooking eggs. Continue to cook until the eggs are set. 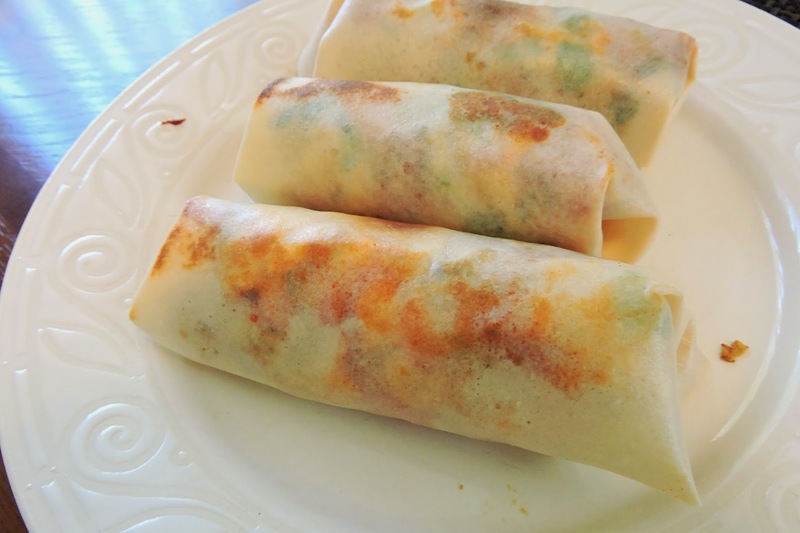 Serve scrambled or wrapped in a Paleo Wrap as a breakfast burrito! I like the Paleo wrap idea.